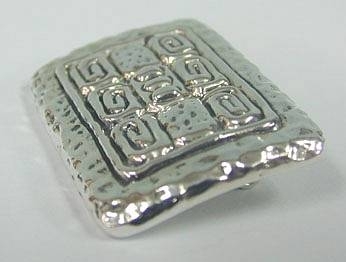 A superb artisan sterling silver breastplate brooch. 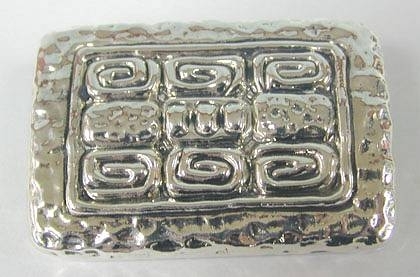 In rectangular shape this brooch is in the form of a breastplate - traditionally worn by the High Priest of Biblical times - within the rectangle are 9 other rectangular shapes bound in a rectangular frame. The brooch is lightly hammered giving it a marvelous vintage look. This item was made in the electroforming method. Measurements: Length: 1.7in. / 4.3cm. Width: 1.2in. / 3.04cm. Weight: 9.98gr. / 0.321oz. 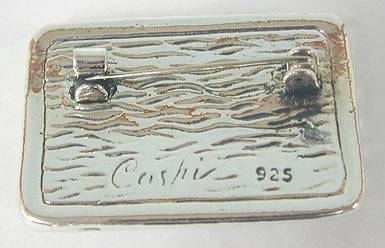 Marks: 925 for Sterling Silver and maker´s mark.